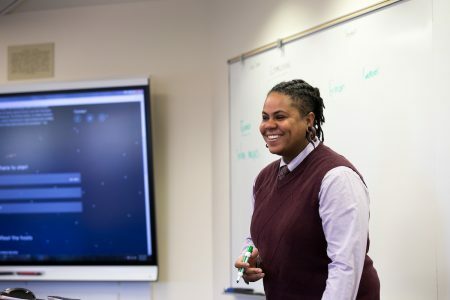 J. Nikol Jackson-Beckham, a Randolph communication studies professor, has made national headlines recently as the first-ever diversity ambassador for the Brewers Association. On January 11, Columbus Business First published an article about her keynote at the fifth annual Ohio Craft Brewers Conference in Columbus, Ohio. And on January 14, she was featured in The New York Times for her work, including her development of guidelines and resources to help brewers make their workplaces, customers, and brands more inclusive. Jackson-Beckham was officially named diversity ambassador for the Brewers Association in April 2018.